Experts have suggested many different causes for obesity, focusing on a lack of healthy food in our diets and lifestyles that keep us sedentary. But here is one possible culprit you probably hadn’t considered: Antibiotics. According to Scientific American, 70 percent of the antibiotics produced each year in the United States are actually given to livestock for therapeutic use to make them grow bigger, faster. As outlined recently in the New York Times, the idea of giving antibiotics to children to promote growth was also considered decades ago, but didn’t catch on as it did for animal feed. But researchers now believe that the antibiotics that promote growth in young livestock may be promoting a very different kind of growth – obesity – in humans. Americans are undoubtedly getting bigger. More than a third of people in the U.S. are obese, and while healthy food and an active lifestyle are considered the most important factors in preventing or reversing that statistic, other factors are under the microscope. While good food is important, this connection isn’t about the meat and dairy you’re eating. By the time animal products reach our stomachs, they contain little to no antibiotics, so they’re not considered the possible culprit. However, many of us take antibiotics several times throughout our lives, and children often take them for ailments like ear infections – even though they may not always be the best medication for a particular complaint. As the Times reports, the average child takes one dose of antibiotics each year, with some children receiving much more than that. Dr. Martin Blaser of New York University is investigating the possibility of a connection between antibiotic use and obesity. In one study done in mice, rodents who were given antibiotics and also fed a high-calorie diet gained about twice as much body fat as nice in a control group, the Times reported. The effect was heightened for female mice. 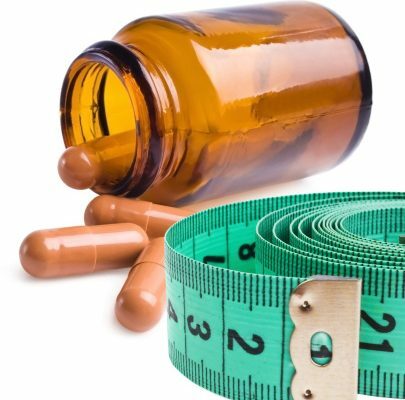 Other studies have explored a link between obesity and the use of antibiotics. Research presented at Obesity Week 2013 and reported by Medscape, for example, found that infants who were given multiple courses of broad-spectrum antibiotics had a risk of obesity increased by 20 percent. The researchers looked at data from more than 65,000 children seen by Children’s Hospital of Philadelphia pediatricians from 2004 to 2013 to determine how antibiotics given before the age of two correlated with obesity between the ages of two to four years. That study looked at the gut biome – the collection of bacteria living in our digestive systems – and how antibiotics could change it by killing off helpful bacteria along with the harmful ones. The gut biome is a hot area of study for everything from depression to celiac disease, and many experts are looking into whether changes we make to our intestinal flora in our early years through the use of antibiotics can affect our colonized bacteria, and therefore our health, for years to come. These studies are also part of the growing evidence that while food choices and exercise certainly play a role in weight control, they aren’t the only factors at play in the obesity epidemic.